We dare you to try any of the peppers on this deadly list of the hottest chilies in the world. This infographic from Visually captures the five most dangerous chilies in the entire planet. The Trinidad moruga scorpion is at the top of the list - this pepper is so lethal that you'd literally need a gas mask to handle it. Second on the list is the Trindiad 7 pot doughlah and the Trindad scorpion butch, previously known as the world's hottest pepper. 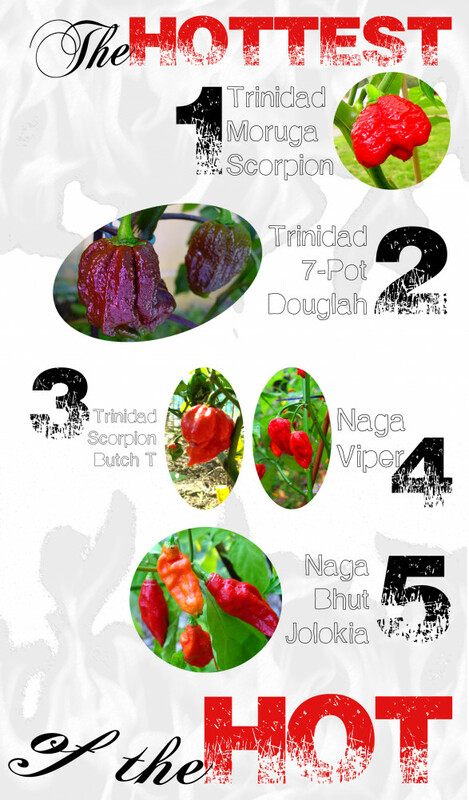 The list is rounded out with two types of naga pepper, the viper and the bhut jolokia. Now, don't go getting any crazy ideas. We don't recommend eating any of these, unless you want to end up hallucinating like this doctor from England. The Hottest of the Hot infographic by calmyourbeans.